Travelling has adapted with the times. Whereas before you would have to pull out a map and buy travel guides or rely on word of mouth, the internet and integration of gadgets, apps and social media has transformed how we travel – and mostly for the better. Whether you are a seasoned traveller or this is your first time exploring a different country on your own, be sure to utilise technology so that you can get the best experience possible. Here are 3 ways you can use technology when travelling. You will need to find the apps that work best for you. There are many to choose from, but the most useful to have downloaded on your phone include the following. For those who like to plan and who are seeking the best deals, this is the app for you. Hopper will find the best time for you to book your flight; all you have to do is input your travel plans! It’s wise to learn some key phrases before you head off to a country who doesn’t speak your native language. While no one is expecting you to be fluent, a basic understanding of the country’s language can help you navigate through streets or ask for help. Duolingo has just unveiled its new Japanese language course, too. This means your trip to the Land of the Rising Sun can become even better. Planning a road trip when in the USA? Roadtrippers allows you to design the ultimate US road trip easily, where the app suggests routes while also pinpointing hotels, attractions, hidden gems and other noteworthy places to visit. The internet has become a haven for travel inspiration. You can use it to find exciting locations and destinations, while also scouring many travel blogs for tips on where to go and how to improve your travel experience. Finding the best souvenirs can be a time-consuming and expensive process. You don’t want to spend your time trying to find an authentic souvenir to bring home, do you? Expedia has released a campaign in which they have a wonderfully useful online tool to help travellers find the world’s most popular souvenirs, as well as where to find them. Whether you are based in Malaysia, Africa, Australia, or the Americas, Expedia has, with this campaign, fully understood that technology is a friend of travel. This ensures that, wherever you are in the world, you can rest assured the souvenirs you find are authentic, meaning you can take a piece of culture home with you that is unique and reflective of that part of the world. Their tool allows travellers to easily connect and share their stories universally, all with the touch of a button. Use your social media platforms to find interesting and exciting places to visit. You may find that someone has tagged themselves in an unusual location in Japan on Twitter, which is known in the mainstream. You can then bookmark this place for later. Through social media, you can also speak to other, friendly travellers. Create a connection with them and ask them for their advice. By doing so, you may become a travel influencer for someone else. While the point of travelling may be to unplug and see the world outside of the internet, you will need to charge your electronic devices and take photos of your travels. Nowadays your phone and laptop (or tablet) are must-have gadgets. You can use them as a map, a translator, and have all your travel details such as accommodation bookings; therefore, keep them charged in case of emergencies. Wi-Fi and 4G are not always accessible, and there may also be massive fines attached to using your mobile data abroad. 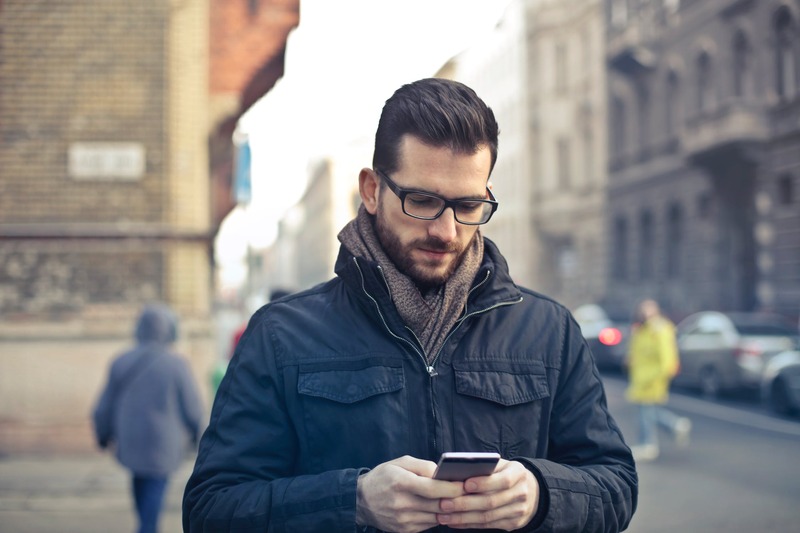 Have a mobile hotspot so that you can access the internet when on the move. If you like to journal your thoughts and travels, you can build a bridge between paper and digital records with a digital notebook and pen. In real time, you can write your experiences by hand and have them be seamlessly recorded and stored for later use. The Moleskine Pen+ Ellipse is the best of its kind. Sicily is the ideal holiday destination if you wish to get away to somewhere very special. Steeped in history and with glorious views and amazing beaches, Sicily is the ideal destination. Whether you are taking your significant other with you or your whole family, Sicily is the ideal place to enjoy some well-deserved time away. Home to the magnificent towns of Ragusa and Modica that are situated at the top of a hill, Sicily is there to be enjoyed. 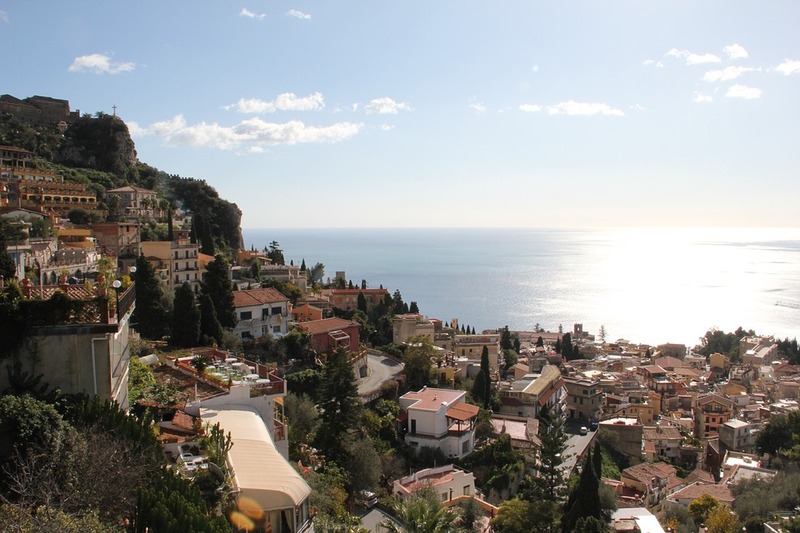 If you would like to add an extra touch of luxury to your holiday you may want to consider staying in one of the many villas in Sicily you can find online thanks to agencies such as Scent of Sicily. Staying in a villa will give you the chance to completely relax and stay in a home from home. Sicily’s coastline is full to the brim of some very scenic beaches that are just waiting for you to explore them. Wherever you choose to stay you won’t be far away from a beach. This means you could potentially spend a few hours at the beach every day, oh how awful that would be! Some beaches tend to get a little busy when the sun’s shining high in the sky so you may want to visit in the early morning. There’s no doubt about it, Sicily has a real touch of glamour to it. All of those beautiful beaches and bays are simply out of this world. If you want to add even more glamour you may consider the villas in sicily with pool and luxurious views, making your time away even more special. Don’t forget to dine in some of the world’s finest restaurants while you’re there, and enjoy a perfect holiday in Sicily. Home to one of the world’s most famous volcanoes, Mount Etna is a must-visit destination. If you’re feeling energetic you may want to consider hiking to the top of the volcano. However, if you’re feeling a little less energetic and wish to enjoy the view why not hop on a cable car? The views are simply stunning and will take your breath away. Sicily is home to some amazing historical sites that simply have to be seen to be believed. The crumbling Greek temples are remarkable as are the Roman mosaics that can still be viewed to this day. The island of Sicily is home to many UNESCO World Heritage sites making it an extra special place to visit. Sicily has an incredibly busy festival calendar and it’s full to the brim of traditional celebrations that are nothing short of intriguing. If you plan to experience a little more of what life is like for those who live on this island you should try to visit as many festivals and events as possible. My partner and I are snorkeling aficionados. We have been on many vacations where snorkeling was our main goal. We have been to destinations such as Ambergris Caye, Belize, Ilha Grande in Brazil, Palawan in the Philippines, and the Maldives. All of these destinations are beautiful and we still want to go to Indonesia and Hawaii. However, we are craving a unique experience. Sure, these tropical places are out of this world, but my partner and I are adventurous and are always seeking unique destinations. I went online browsing through options and I came across a destination that I never thought was an option. It was Iceland. I immediately texted my partner to see what he thought. He texted back, “R u crazy?” I told him to check out the website to see that I have not lost my mind. We have never been to a cold destination for a vacation. In fact, we don’t experience too much cold weather as we live in Santa Barbara, California. I’m lucky to be able to work remotely from home for my online business and my partner, Steven, has a good job working in tech sales. Steven and I are partners now for 25 years and our anniversary is coming up. I thought what better way to celebrate than doing what we love in a completely different climate! I was so excited that I began exploring the sites and package deals available. I started doing some research and I found out some fascinating fact about snorkeling in Iceland. Apparently, Iceland is the only place in the world that you can dive or snorkel and touch two continents at the same time! In fact, the Sifra Rift is known for the clearest water and amazing clear underwater visibility. The Sifra rift is part of the Thingvallavatn Lake which is the largest natural lake in Iceland. 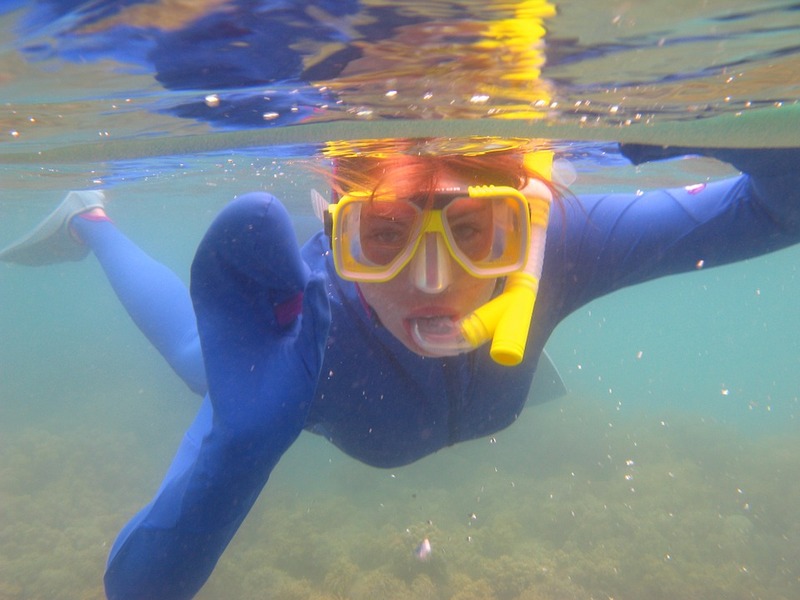 The best part is that you don’t need a diving license to go snorkeling in Iceland. So you can freely explore and experience one of the most beautiful places to visit in the world! Steven was now just as excited as I was to take this amazing journey together! I contacted our travel agent and they looked up some good deals for us. First, our agent, Sally, looked up some good deals for a flight. Flights ranged from $560.00 to about $1,153.00 roundtrip. Not bad. The flight itself from Los Angeles, California to Reykjavik, Iceland is about 9 hours and 8 minutes. Sure it’s a bit longer than going to some tropic destinations, but way less time than going to Australia or Japan. Sally managed to find us a great deal that included a fabulous hotel that was near shops and interesting sites. Sally did mention to us that transportation may be an issue. The taxi service there is Hreyfill and the fare is charged by a taximeter. The price can be anywhere from $126USD to about $159USD. “Yikes! That’s expensive!”, Steven said. I agreed. “What about UBER or LYFT?” I replied. I found out that there are no Uber or Lyft services in Iceland. Out here when I need to go to Santa Barbara or Venice Beach, I take Uber all the time! There were other options, like renting a car. This would save us time and money. We found a site for a rental car company in Iceland that had great reviews and decided to give them a try, www.lotuscarrental.is/rent-a-car-in-iceland. Sally, our travel agent, recommended the best way to get to our hotel and to any snorkeling tour would be by renting a car. Also by renting a car, this would give us time to stop at some amazing sites such as the Skogafoss Waterfall, the Golden Circle, and so many more sights listed on the brochure. Steven is the designated driver out of us two. He likes to drive, so I will leave it up to him which sites he wants to go to. Maybe we will go to them all! We are ambitious adventurers after all. I also came across an article in the NY Times as my business involves keeping up with news from coast to coast. I just happened to come across this article. It was a sign that this was the place to go! Steven and I booked our flight and we were very excited to celebrate our union of 25 years in such a magnificent place. This will make our union even more special. I am so glad that I have an amazing friend and partner like Steven to explore these fascinating destinations together. If you regularly travel long distances by car, having extra storage for your luggage can make a big difference to your comfort level. Many cars include luggage racks on the roof for excess baggage. If you already have a rack, the best solution for extra storage is to add a car roof box. If you don’t have a rack, you can still find the right setup to work for your vehicle. 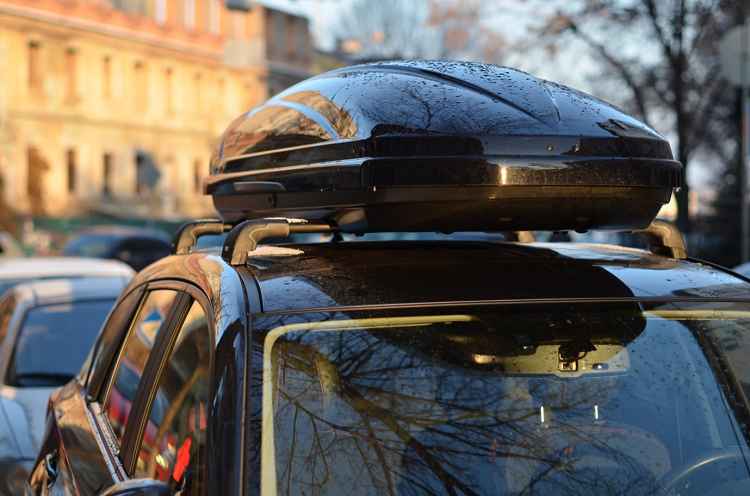 There are many different forms of roof storage, and you’ll find that it’s not hard to mount them to the top of your car even if you don’t have an existing luggage rack. If you’re considering buying and installing a roof box, here’s what you need to know. There are two main kinds of roof luggage storage available: flexible roof cargo bags and hard-shell roof boxes. Both of these options allow you to free up space in your car for other supplies. The qualities to look for in each type of storage are essentially the same, but there are a few characteristics unique to each of them. Here are some of the considerations you should be aware of, along with important details to keep in mind. Roof cargo bags are made of durable waterproof fabric with reinforced leak-proof seams. Some models are even laminated with a thin rubber coating for additional waterproofing. The advantage of heavy-duty fabric roof storage is that it can be easily removed and folded up for storage. It’s also more flexible if you’re using it to carry odd-shaped items. Made from hard, heavy-duty material that’s also designed to be lightweight, most hard-shell roof boxes are designed to fit onto just about any luggage rack. If you’re mounting a roof box directly on top of a vehicle, make sure it includes a protective barrier to put between the box and the roof. The main advantage of a hard-shell roof box is ease of attachment and removal. A quality storage box will have built-in roof clamps and tightening gears or straps, and most models can be lifted and mounted to the roof of your car by one person. Aerodynamic Design: Your roof box should be shaped to eliminate as much wind resistance as possible. This is easier with a hard-shell box. Sufficient Storage: Find a roof box that has at least 15 cubic feet of storage capacity. If you have a very small vehicle, you may want a scaled-down storage box that holds 8 to 11 cubic feet. If you opt for an extra-large unit, make sure it will fit your vehicle. Ideal Shape: Be sure to write down the measurements of your car’s roof or luggage rack before making a selection. There are many different shapes and sizes of car roof boxes, so you’ll be able to find one that’s just right for your car. Ideal Weight: Many roof boxes are made of strong, flexible polymers that provide support and protection without adding extra weight. If heaviness is a consideration, compare the weight of each model in order to find one that suits your requirements. If you’re a fan of Mexican food, you’ll want to hit all six of these amazing spots during your time in Vegas. Each offers excellent Mexican cuisine served by excellent chefs and friendly, courteous staff. We’ve compiled this list so you can spend less time searching and more time enjoying your favorite Mexican dishes! Nacho Daddy was first opened in 2010 and remains locally owned and operated. Boasting an impressive menu of Mexican dishes and a philosophy of “never a dry chip”, this restaurant has made a name for itself in the industry. Nachos have never been the same! 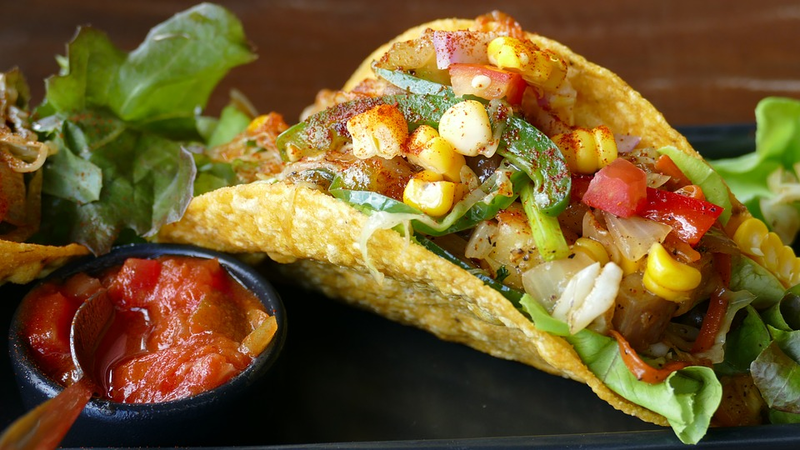 The restaurant serves “gourmet nachos” of every variety, from their Fiesta Nachos to Lobster and Crab Nachos, there is a nacho variation for any taste you can imagine. If you’re not into nachos, the menu also has other options, including an all-day breakfast sub-menu. One of the defining features of this restaurant is its world-renowned Scorpion Shot. And yes, it is literally a scorpion in a shot of tequila. The question is, are you brave enough to get stung? The scorpions are kept in a live terrarium inside the restaurant, so you’ll get to see the scorpion before you drink it. Nothing beats authenticity when it comes to Mexican food, and that’s exactly what you’ll find at Tacos El Gordo. Family owned and operated since 1998, this restaurant has gained a serious reputation for cranking out some amazing food. They only use homemade corn tortilla and high-grade meats in their cooking, making the tacos one of a kind. Since the opening, the restaurant has also opened a location in California, spreading the message that this is real authentic Mexican cuisine. This Henderson Mexican Restaurant is a must-see for anyone who loves Mexican cuisine. With decor that lends a nod to Dia De Muertos, the Mexican holiday “The Day of The Dead”, this eatery certainly carries its own unique reputation for interior design. The tortillas are made by hand from scratch, so you can be sure you’re getting the highest quality burritos and tacos made fresh daily. The menu also boasts a Vegan section for those of you that enjoy tacos without the meat. Don’t worry, the drink menu is up to the task of matching the extensive food menu. Whether you want a glass of wine with your tacos, a beer or margarita, the menu provides. Its extensive list includes tequila as well for added authenticity. One of the top-rated Mexican restaurants in Vegas is the El Dorado Cantina. Known for its superb authenticity and for being open 24 hours (that’s right, tacos at night!) this restaurant is a force to be reckoned with. Featuring 181 seats, this upscale location provides excellent customer service and authentic foods. Their ingredients are all sourced from sustainable farms, and everything on the menu is made from scratch. From tacos to burritos to enchiladas, the menu has something to offer everyone. An extensive drinks menu will ensure that your thirst is quenched throughout your stay at El Dorado, and the dark wood decor will inspire awe as you enjoy an authentic meal. This Mexican eatery boasts handcrafted margaritas and a stunning patio overlooking the beautiful Las Vegas Strip. With a focus on quality and taste, El Segundo Sol deserves its spot on our list. The restaurant has worked hard to provide an authentic experience reminiscent of Mexico City, without the trip south. The fresh-made guacamole is a staple of the impressive menu and has gained quite a reputation for being delicious. Tacos, enchiladas, fajitas. The restaurant has it all, and at great prices. You can even order bottomless chips and salsa for less than five dollars. Stop in today to see why El Segundo Sol is one of the top-rated Mexican restaurants in the Vegas area. In 1941, a man by the name of Don Carlos Orozco invented the margarita; which would become one of the most popular drinks on the planet. This is a little-known fact held dear by the Hussong family, who in fact provided the restaurant that this iconic drink was created in. Hussong’s is one of the oldest cantinas around, meaning they’ve had a lot of practice perfecting their menu. Using only fresh ingredients, this restaurant combines authenticity with superb quality for a dining experience you must see to believe. Burritos, tacos, enchiladas, and freshly made guacamole are just a few of the excellent dishes offered at this unique and savory location. If you find yourself thirsty, house-made margaritas are just the thing to quench your thirst. Hussong’s also offers catering for your personal events, should you decide that any old place just won’t make the cut. They’ll provide their famous authentic Mexican dishes to make your event a memorable-and tasty-occasion. While Las Vegas literally has dozens of Mexican Restaurants and cantinas, these six are the staple of the industry, boasting well-deserved reputations and impressive menus. If you’re looking for authenticity, quality, and customer service all in one place, any of the six restaurants in our list will provide just that. Enjoy your stay in Vegas and remember, always choose higher quality when it comes to food!